Choosing your first dance song to kick off your wedding night can sometimes be a very tricky job. It’s a tough decision to make, to choose a song that is meaningful to both bride & groom and a lot of the time you have 2 or 3 top songs and choosing the final winner can be very difficult. It’s good to choose songs that bring you both back to a certain time in your lives as a couple. Although it doesn’t always have to have sentiment some couples choose rock dance or chart songs! Why ? Because everyone’s tastes are different so choose what right for your tastes! Here, are the top first dance Wedding songs for 2018 as featured on Bride.com to give you some ideas! Should you hire a Band or Professional Wedding DJ? 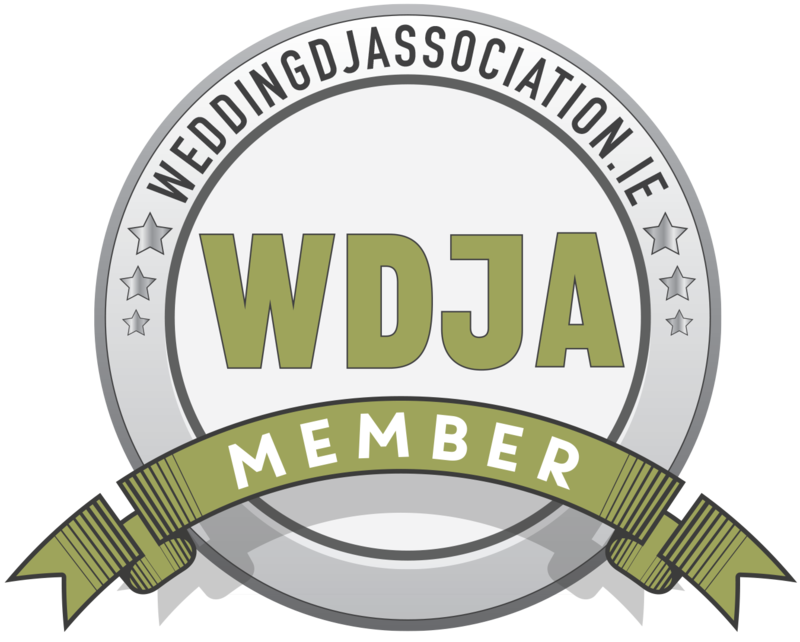 The Irish Wedding DJ Association is a group of the most professional DJs in Ireland. It was setup to ensure couples get the best possible entertainment for their wedding day. Not leaving it to chance or the drummer, booking a separate professional wedding DJ ensures you a great night of entertainment. We offer free advice and tips for booking the best wedding DJs in Ireland. We aim to protect you against rogue traders within the wedding DJ industry in Ireland.